Across the country, many cities view new hotels as welcome development in their communities. Increasing tax revenues and stimulating new jobs, hotels typically generate additional economic activity by attracting new visitors to local businesses and needed foot traffic leading to adjacent urban infill. 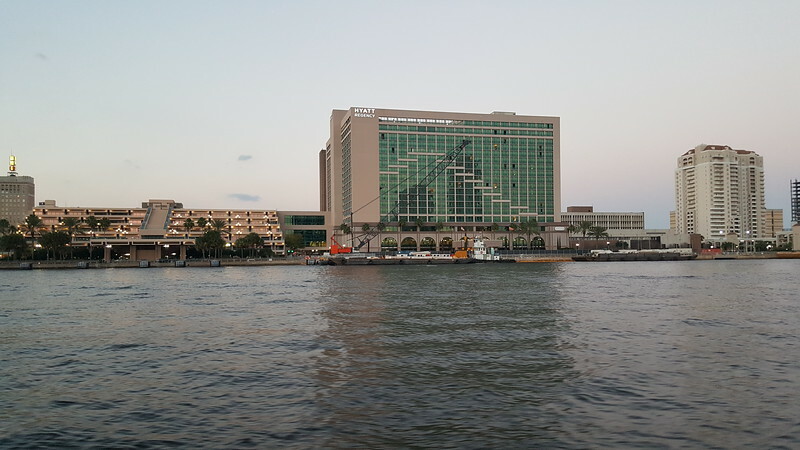 On February 1, 2001, it was believed that what is now the Hyatt Jacksonville Riverfront, would deliver the same results when it opened its doors to great fanfare. Completed in 2001, the Hyatt Regency Riverfront was the last hotel to open in Downtown Jacksonville. Armed with 951 guest rooms and a total of 110,000 square feet of function space, the $126 million hotel rekindled optimism felt with the 1980 opening of the Holiday Inn City Center, with a prediction that it would serve as the centerpiece of an aggressive plan to attract major conventions to Jacksonville revitalizing riverfront. Like the Holiday Inn, which closed in 1982 and was ultimately replaced by the Bryan Simpson United States Courthouse, those dreams failed to materialize and no additional hotel openings have taken place in the central business district since. Now, after 17 years of broken dreams and inaction, it appears downtown is finally turning a corner with the hotel industry preparing to take the city’s core by storm and Laura Street serving as ground zero for the industry’s renaissance. 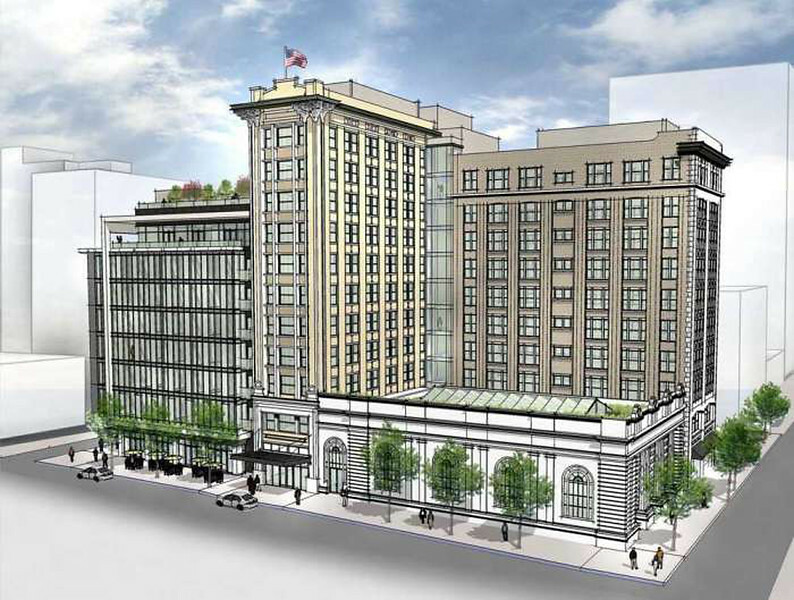 Courtyard by Marriott/Laura Street Trio rendering courtesy of the SouthEast Group. A partnership between Jacksonville-based SouthEast Group and Las Vegas-based The Molasky Group, will soon break ground on a long planned project to convert the vacant Laura Street Trio into a 131-room Courtyard by Marriott hotel. The boutique hotel, which will be located on Laura Street, between Forsyth and Adams Streets, is a part of a $90 million adaptive reuse program involving three of Florida’s earliest skyscrapers. In addition to historic preservation, the hotel will include a new mid-rise building, a restaurant, rooftop bar and urban bodega. 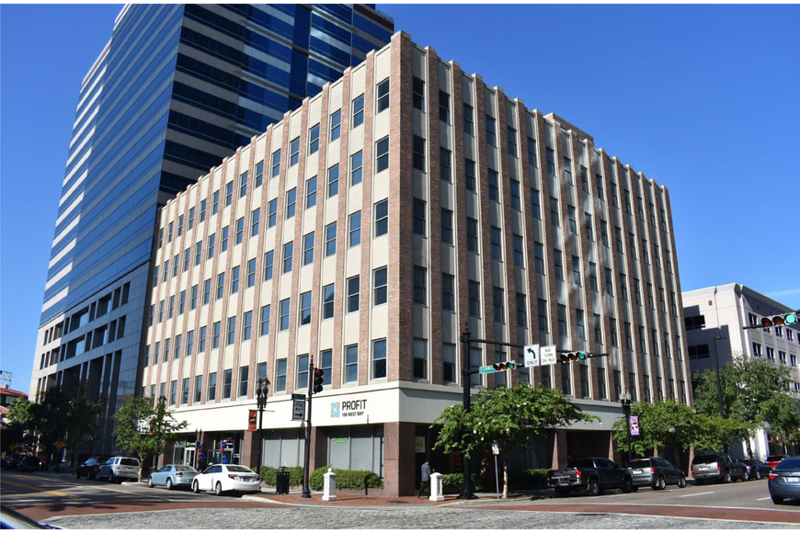 One block south at Laura and Bay Streets, Profit Investments Partners plans to transform the former headquarters of Stockton, Whatley, Davin & Company into a Hotel Indigo with 90 guest rooms. The first floor of the hotel will contain the hotel lobby and a 95-seat restaurant, lounge and bar. The seventh floor will be converted into a 190-seat restaurant and bar with rooftop seating and lounge areas to provide guests with an exceptional view of the St. Johns River and the downtown skyline.